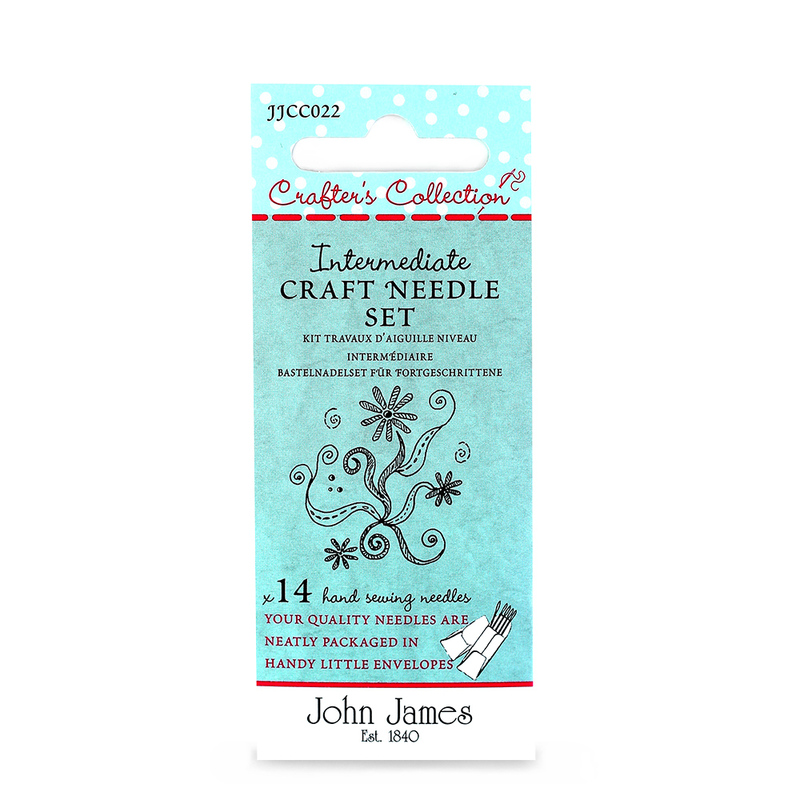 Crafters Collection: Intermediate Craft Needle Set Asst. Intermediate Craft Needle Set Asst. A fabulous compendium for the needle enthusiast who has gained experience working with needles designed for the beginner and wishes to advance to the next level, the intermediate stage. This great combination allows the needle enthusiast to progress to the level of using short, fine medium sized needles which are easy to thread. This wallet contains embroidery size 7, quilting size 8 and cross stitch size 24. This is a great gift idea for any age. There are 2 additional packs in the collection: The Beginners Craft set and the Advanced Craft set. Creativity at your finger tips.